An impressive area that collects marbles dating from 16th – 19 th century, of utmost importance to the Jewish Community of Rome. 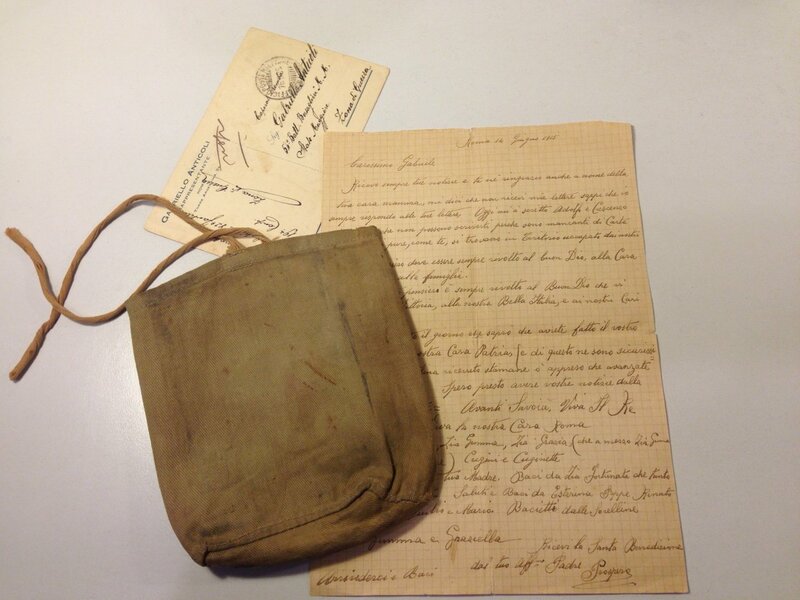 Some of the pieces recall the legacies left by wealthy families; others document the purchase of cemetery plots. 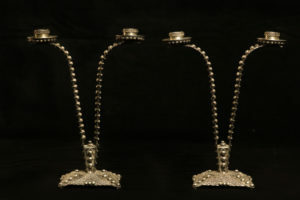 These works were an essential element of the decoration of the Cinque Scole. Renaissance velvets decorated with threads of gold, embroidery and lace from the Baroque period, French lampas weavings from the 18th century: a world of grace and opulence that has come down to us from the time of the Ghetto. 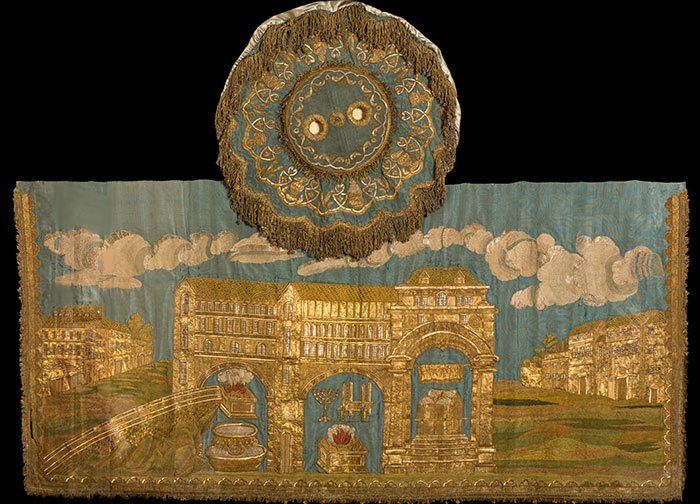 The Museum owns nearly 900 textiles, some visible in the display cases and others used in the Synagogues throughout the city. Most of them are preserved in this room, available to scholars wishing to study them. 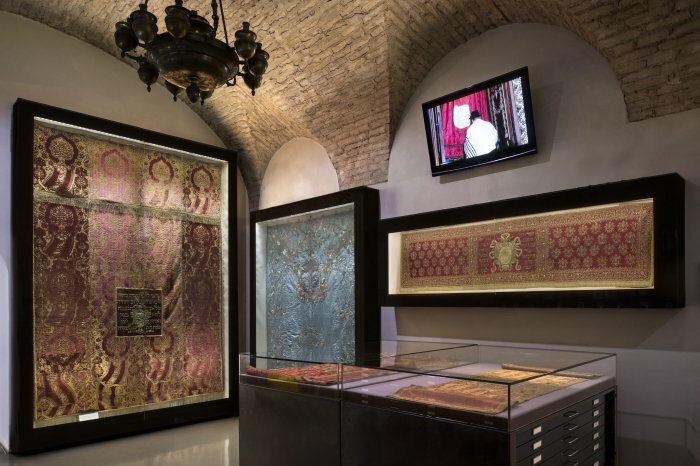 Walking through the display cases and the large chests of drawers means traveling back in time, to when the splendid fabrics were taken care of with the same love we offer today in the Guardaroba of the Cinque Scole. 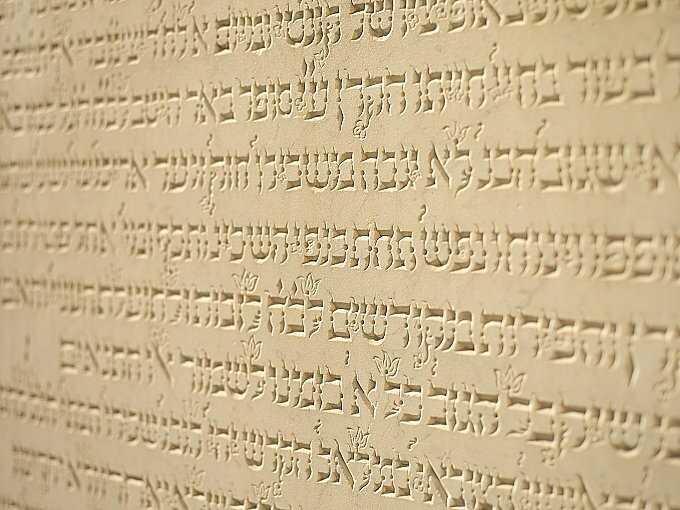 This room is dedicated to the events that mark the time in Judaism: prayer, Shabbat, Jewish holidays throughout the year and the Jewish life cycle. 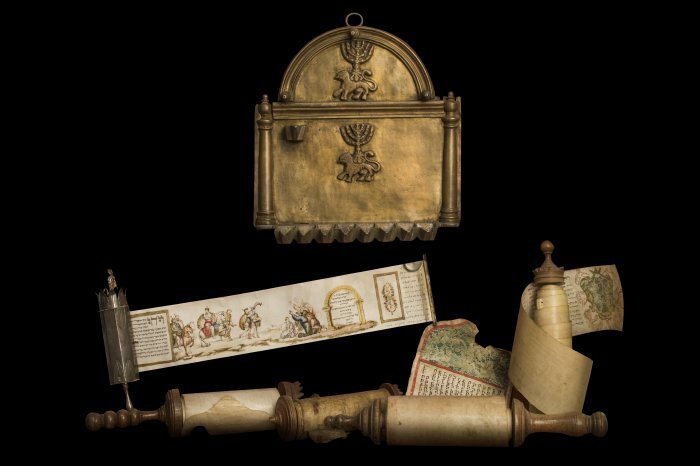 In each display case the moments in the calendar characterizing Jewish life are explained and represented by the objects belonging to the Roman Jewish tradition. 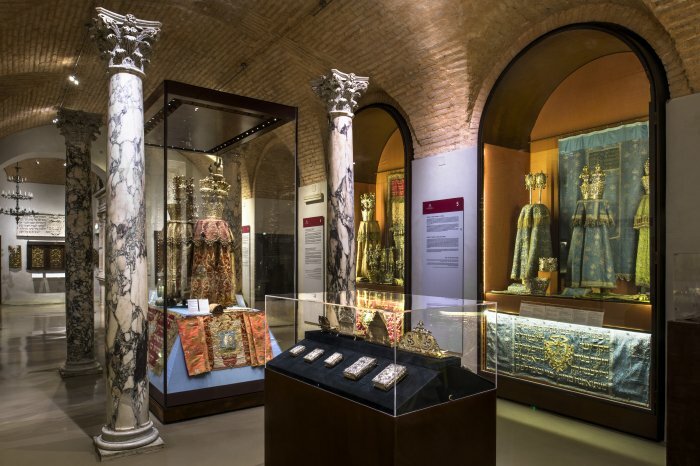 Silver objects, precious fabrics and polychrome marbles: this room is a tribute to the objects that the Jews of the Ghetto donated to their synagogues and it explains how they are used in liturgical services of the Jewish tradition. From emancipation to the present through the Shaoh and the reconstruction: artwork and documents narrate the journey of the Jewish community of Rome, still vibrant after 22 centuries. With the protection on a continuous loop, in English and Italian, of the video A star on the Tiber: films and testimonies that trace the history of the Roman Jews from emancipation to the present day. 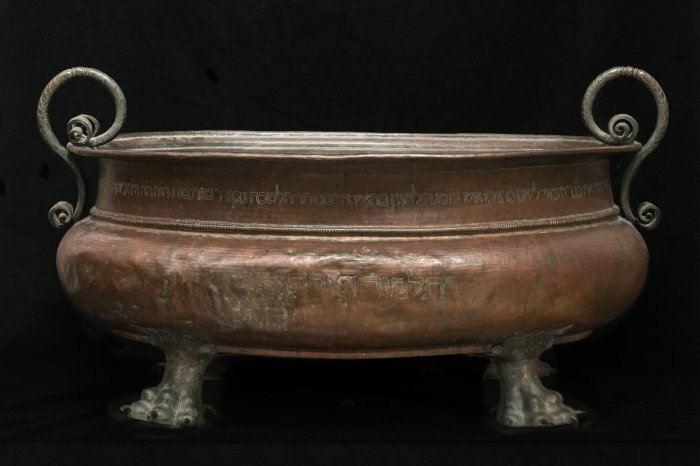 Documents, objects and photographs highlight the history of the glorious and once thriving Libyan Jewish community and its contribution to Roman Judaism after the arrival of the refugees from Tripoli and Benghazi in 1967.